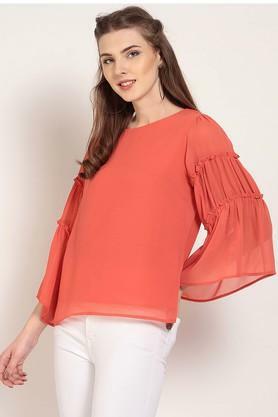 Let your style do the talking by wearing this top presented by Marie Claire. It is tailored with a premium quality fabric that will provide a soft touch against your skin. 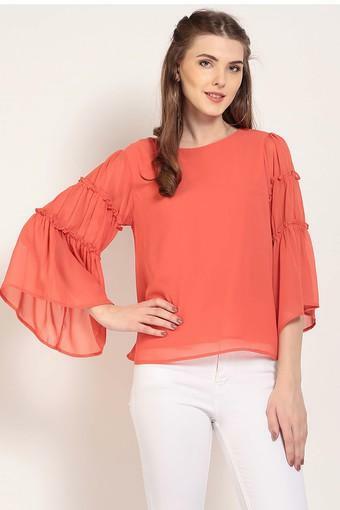 Featuring a round neck, it also comes with flared sleeves that add to its design. It also has a solid pattern that enhances its appeal. Pep up your style quotient by wearing this top, which comes in a solid pattern. 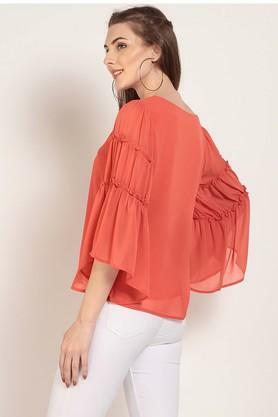 You can team it with a pair of skinny fit jeans and heeled sandals to look your best.